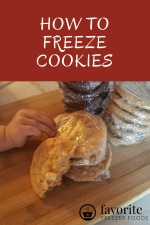 Refreeze Food That Thawed? Is it safe. 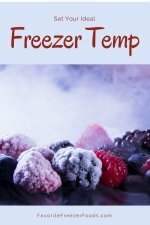 Can You Refreeze Food That Thawed? Ever wonder if you can refreeze food you thawed for dinner or worse- the entire contents of your freezer after the door was left open or a power out? Life happens and sometimes our plans for dinner get adjusted. We all hate to waste food but it‘s better than getting ill from food born bacteria. Ignore the monetary cost because saving some money is not worth the risk of getting sick. Did you know severe cases of food poisoning can kill someone? Some foods can be safely refrozen after being fully cooked. How do we know what is still safe and what isn’t? 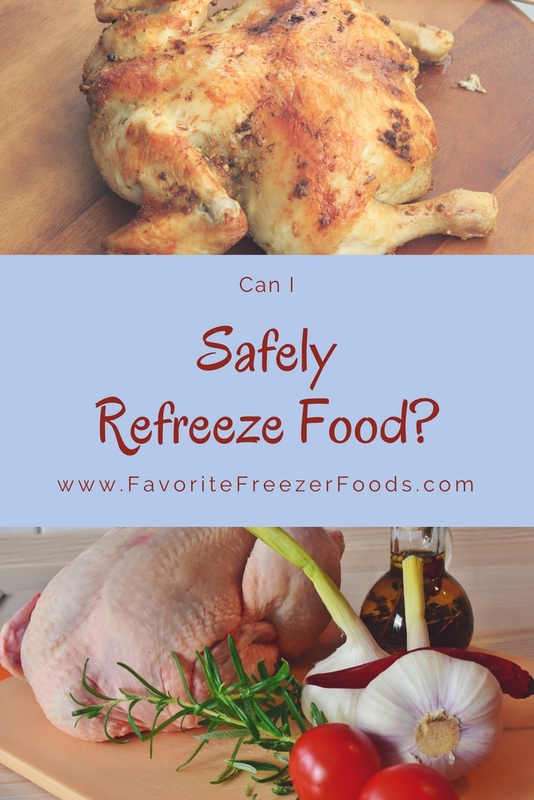 Refreezing food is not dangerous, the danger is that food can spoil before it’s refrozen or after it‘s thawed again but before being cooked and eaten. Freezing food does not kill bacteria, so once thawed bacteria continues to multiple at the same exponential rate it was multiplying at before being frozen. This is one of the reasons to set your freezer to it's ideal temperature. Refreezing also reduces quality because the already slightly damaged cells are being expanded with ice crystals again. This isn’t a big deal for meats or baked foods but is huge for rice, pasta, fruits and veggies. Try to figure out how long things have been thawing/thawed to help you make a safe decision. And never feed a pet food you wouldn’t eat, they can get food poisoning too. It still has ice crystals. Use your best judgment here, something big like a turkey could be really warm and thus unsafe while there are still ice crystals in the cavity. Cook any raw meats that thawed but are still cold, under 40F (aka fridge temp), but not icy, before refreezing. Be careful with prepared/cooked foods, it’s best to reheat and eat them instead of refreezing them because of the risk of bacteria and the loss of texture. Label clearly so you know to use this item fast. I usually write something like “Do not thaw” if it can be cooked from frozen or “Use as soon as thawed” so I know that this item should be cooked as soon as it thaws. Refreeze food without ice crystals? It's thawed, what can I do? Visable ice crystals are a sign that food is still safe and can be refrozen. Raw Red Meat(Beef): Refreezeable if it’s still very cold even without ice crystal, but it needs to be below 40F the whole time and have only been fully thawed for a day or two. If it’s gone above 40F toss it. Raw Poultry or Chicken, Pork and Lamb: Refreezing is OK if it’s still icy or very cold. If it’s lower than 40F but not icy I’d cook it before refreezing. If it’s warmer than 40F, slimy or smelly it’s trash. Raw Fish and Shellfish: Do not refreeze, it’s too hard to tell if it’s starting to go bad. Remember it takes time to refreeze, time that bacteria use to keep growing and more time to thaw and cook before you eventually eat it. Cook it immediately if it’s cold and you think it’s still good. It is ok to refreeze the meat after you cook it. Be really careful with fish. Cooked Foods with Meat: Do not freeze cooked meals containing meat if they have thawed and are not longer icy. The texture is likely to change and it’s hard to tell if cooked meals and meats starts going bad. 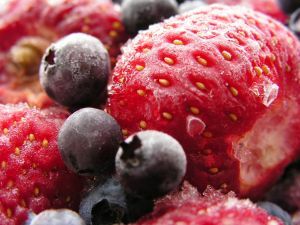 Fruits: Go ahead and freeze thawed fruits that don‘t smell bad or have signs of mold. They will be softer and might lose some flavor, they might even shrink some but they won’t make you sick. Why is fruit ok to refreeze? Because it takes a long time for fruits to ferment. Fruit Juices: Concentrate juices might lose some quality and be difficult to reconstitute with water later but they are safe as long as they stayed under 40F. Regular fruit juices will hardly change and are ok to refreeze if it was kept cool the whole time. Vegetables: If they are still solid and icy refreeze. If they thawed do not refreeze. They spoil fast and become tough and besides they lose nutrients during the process and no one wants to eat tough veggies that aren’t even healthy anymore! Ice Cream: If it’s soft but not thawed refreeze it. If it thawed and liquidy it’s trash. That simple. We are talking about a dairy product here, it spoils fast when thawed. Plus the texture and flavor change a lot. Just don’t bother trying to save it. Baked goods: By nature baked goods are pretty dry and thus don’t change much in the freezer. As long as it’s not moldy or stale go ahead and refreeze breads, muffins, un-iced cakes, tortillas and the like. If your freezer thaws and you have to toss a bunch of food see if the loss is covered on your homeowners or renters insurance. A freezer inventory can help with this. Expecting a long power outage? Yes, you can prepare your freezer. This page has tips for prepping your freezer for a power outage and will help you get organized so you can refreeze food if possible and minimize losses as best the situation allows. Disclaimer: This information is true and accurate to the best of my abilities, it is posted here to try to help people but food safety is a very serious thing. By using this information you agree that you are taking fully and complete responsibility for your actions, your health and any food that you refreeze, cook or eat. When in doubt throw it out. More great articles for you to explore. Learn more about getting started with freezer cooking. Done reading about how to refreeze food? Find more cool stuff on freezing food.